A specifications sheet of the Nokia 9 has leaked, tipping some of the expected features in the upcoming smartphone. This handset has been a topic of speculation for a long time now. Ever since Nokia-licensee HMD Globalentered the market with Android-powered smartphones, people have been waiting to see a premium flagship handset from the company. The company satisfied that demand with the Nokia 8 and the Nokia 8 Sirocco, however, the Nokia 9 has long been rumoured alongside. According to the latest leak, the Nokia 9 appears to pack features that can take on the Samsung Galaxy S9 or the recent Apple iPhone models. According to the latest leak, the Nokia 9 is a dual-SIM (Nano) smartphone that will run Android 8.1 Oreo - it is also listed to be an Android One smartphone, like all the mid- and top-end Android models unveiled by HMD Global at MWC 2018. It will sport a 6.01-inch AMOLED display with 18:9 aspect ratio and Corning Gorilla Glass 5 protection. The smartphone will be powered by a Qualcomm Snapdragon 845 SoC coupled with 8GB of LPDDR4X RAM. However, the highlight of the Nokia 9 will be the camera. The smartphone will reportedly pack 41-megapixel, 20-megapixel, and 9.7-megapixel sensors on the back with Carl Zeiss optics in a triple camera setup that's complete with 4x optical zoom, alongside both Xenon and LED flash modules. The 41-megapixel sensor is said to feature 1.4-micron pixels, OIS, a wide-angle lens, and a variable aperture of f/1.5 and f/2.4. The second, 20-megapixel sensor is said to be coupled with a telephoto lens OIS, 1-micron pixels, and an f/2.4 aperture. The third, 9.7-megapixel sensor is said to be a monochrome offering. The rear triple camera setup is coupled with an 18-karat gold trim. 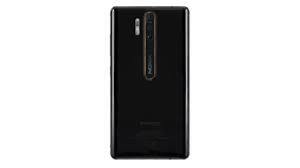 On the front, the Nokia 9 is listed to sport a 21-megapixel sensor with 1.4-micron pixels, an f/1.8 aperture, and once again, Carl Zeiss optics. The Dual-Sight tech for the company's Bothie feature will also be present, apart from a Pro Camera mode. As per the specifications sheet, the Nokia 9 will come with 256GB of inbuilt storage. Connectivity options listed include Wi-Fi 802.11 a/b/g/n/ac, Bluetooth 5.0, GPS/ A-GPS, Glonass, USB Type-C, and NFC. 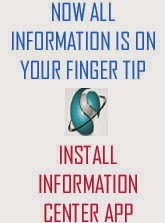 Sensors include an in-glass fingerprint reader, apart from a barometer. The smartphone will be powered by a 3900mAh battery, said to deliver up to 24 hours of talk time and up to 565 hours of standby time. It is also listed wwith Quick Charge 4.0 support that is rated to deliver 60 percent charge in 30 minutes. It is also said to include wireless charging support, with a ceramic back plate also listed to enable it - like the Mi Mix 2S. In terms of dimensions, the smartphone will measure 150.6x75.2x7.3mm. The specifications sheet also notes the use of five high-performance microphones that can record in 24-bit audio.